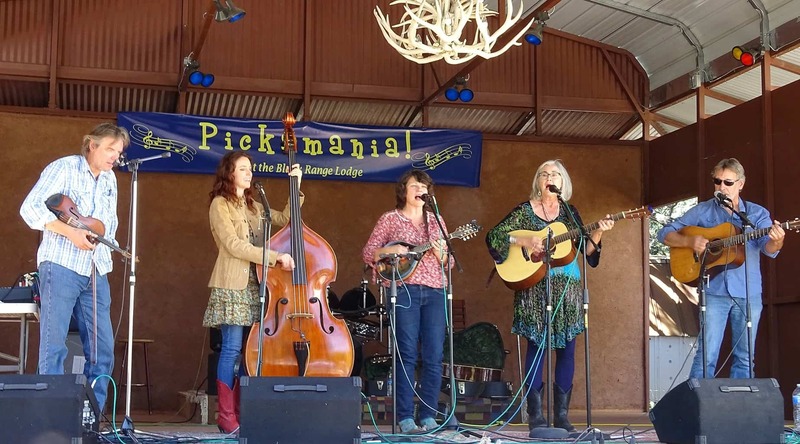 Enjoy a Sunday afternoon of classic bluegrass and original acoustic music featuring the Hard Road Trio at the Black Range Lodge in Kingston, just 45 minutes from Truth or Consequences. The culmination of a long weekend of inspired instruction at the Desert Night Acoustic Music Camp, the outdoor concert will feature the uber-talented Steve Smith on mandolin, Chris Clark Sanders on guitar, Anne Luna on bass, Ezra Bussmann on fiddle, and the legendary Alan Mundy on banjo, plus student groups from the Camp. Expect original and traditional music, string band serenades, masterful instrumentals, and a variety of danceable tunes for your enjoyment. The outdoor concert is the season finale of the “Starlight Concert” series at the Lodge, located at 50 Main Street in Kingston. The Starlight Concert series is sponsored by the Sierra County Arts Council.